NEW YORK, NY Feb. 5, 2018 –Sisense, disrupting the BI market by simplifying business analytics for complex data, announces the release of Sisense Version 7.0 (“Sisense 7.0”). Sisense 7.0 delivers an intuitive, visual, drag and drop interface for data preparation that is used by non-technical business users to easily find, add, and combine complex data sources. Sisense 7.0 takes advanced design and visualization concepts commonly used for the creation of dashboards and analytics, and applies them in a new way. This new approach, termed ‘dynamic data mapping’ by Sisense, allows data analysts to interact with source data in a visual way, using computer-aided clustering to map and understand source data types, sizes, and connections. Sisense dynamic data mapping also allows users to zoom in to a single data source to get deeper understanding, or zoom out to understand the holistic data landscape. Data-led insights are a big part of the value that Tessitura Network offers its clients,” said John Jakovich, Vice President, Business Intelligence at Tessitura Network. “Sisense is helping us deliver that value, with technology that makes it easy for our users to build interactive dashboards for uncovering those actionable business insights. Sisense 7.0 has taken that data discovery process to the next level, enabling us to add, combine, and prepare source data more easily and intuitively than ever before. Many BI firms provide dashboards that visually highlight insights after the data has already been combined by a data specialist,” said Amir Orad, Sisense Chief Executive Officer. “Sisense 7.0 has powerful analytics, but it is revolutionary because it makes interacting with complex source data as simple as engaging with the dashboards. This new approach to data mapping helps decision-makers with no analytics experience easily navigate data and derive important insights, making data democratization real for many users for the first time. Version 7.0 also delivers smart, machine learning-driven recommendations, helping guide users through the data preparation process by recommending use of specific fields to easily ‘mash-up’ data sources—saving time, unveiling new insights and reducing the chance of errors. Leveraging advanced machine learning to allow for smart data preparation and visualization field suggestions presents a new step in making analytics accessible to everyone, regardless of technical skill or expertise. Sisense developed a radically new approach to data processing when it launched its In-Chip™ software in 2010, providing an order-of-magnitude increase in speed and agility over in-memory processing. 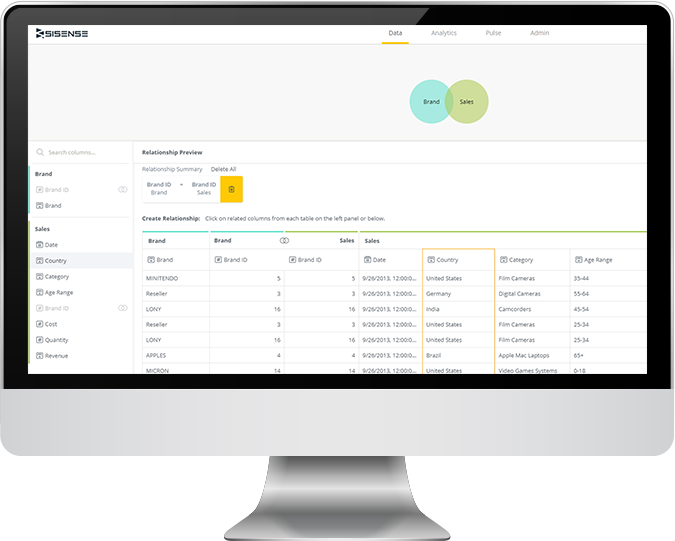 As a Single-Stack™ platform, Sisense offers a completely unified solution, allowing users to move from raw data to analysis to collaboration to actionable insights and smart alerts through a single interface. 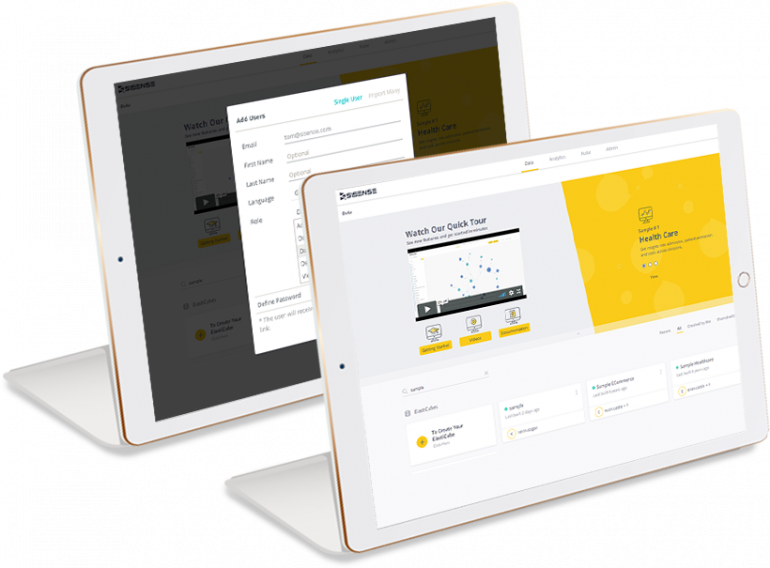 Now, with 7.0, Sisense also provides a 100% browser-based platform, which allows for data preparation and governance via the browser to complement the online dashboarding, alerts, and administration. 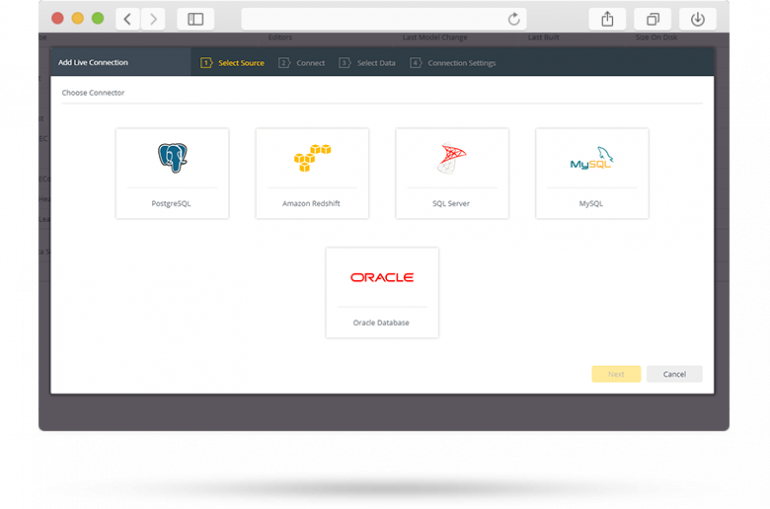 Being able to access all the tools you need for analytics through a single, browser-based interface means data can be prepared, analyzed, and distributed entirely online, without software installation, and without sacrificing customization or control. Sisense takes a radically different approach to business analytics. The company’s obsessive commitment to consistent product innovation and customer success enable organizations to instantly reveal insights from complex data. It’s BI for everyone, everywhere regardless of technical expertise. Sisense’s agility allows business users with no technical background to get the accurate intelligence at the very moment it is needed without waiting hours, days or even weeks for answers. Sisense provides a complete business platform to prepare, analyze and visualize large, volumes and variety of data. Its unique In-Chip™ and Single Stack™ technologies simplify every step of the BI process – from data preparation to discovery of insights. From innovative startups to global brands like GE, Wix, Nasdaq and Philips, thousands of organizations worldwide embed Sisense in their everyday business to reveal instant insights.